Now I have to figure out how to bribe your muse. YES. Mermaids are the new vampires. I've been saying this for years. 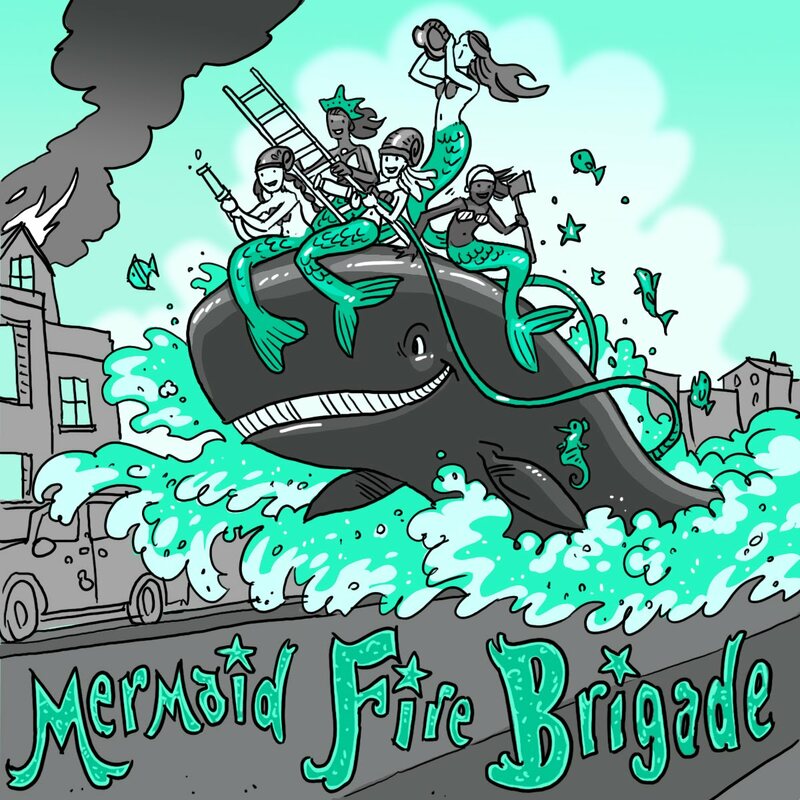 Personally I think the axe-weilding mermaid is awesome, and I'm hoping that your muse sees fit to make mermaids-with-firefighting-axes a major part of the illustrations. Not that you have to, of course, just that it would be extra awesome. Just stew on it for a while: mermaids with axes. This is brilliant. You made the correct choice. Ooh, this was one of my favorites last year! I'm excited to read it. Yay, freedom! And I find that when I'm supposed to be doing something, I always end up wanting to do the exact opposite. i.e. now I ought to be doing homework but looking at pictures of mermaids seems so much more pleasant. Hooray! I thought this one had fallen by the wayside. Definitely a favorite. PS I really liked the waterskiing isopod too. Are you going to get a copy of the isopod journal?